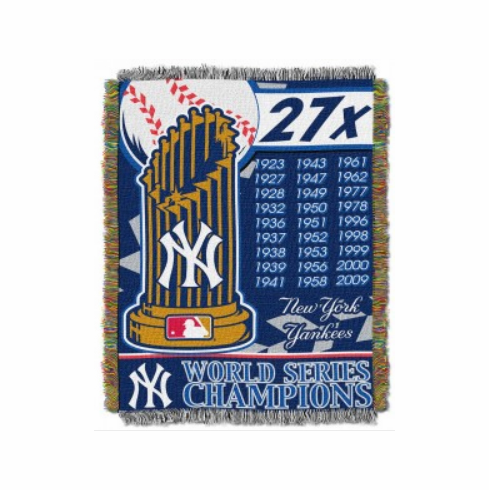 New York Yankees 27x Champions Tapestry Throw Blanket. Use it as a room accent, bed covering, throw blanket or wall-hanging. Measures appx. 48� x 60� with fringes on all sides.